Want to know how to combine colours in your wardrobe with colours in your make-up and learn how to achieve and balance and harmonious result that truly complements your colouring? Then this MAKE-UP with HARMONY workshop is just for you. 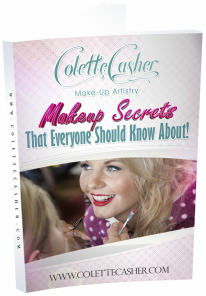 It is a fabulous opportunity to attend a joint session delivered by colour consultant, Jane Chrumka, Harmony Ridge Designs and make-up artist, Colette Casher, Colette Casher Make-Up Artistry. Both are experts in their specific fields and will help you to explore the joy of colour and discover your inner confidence. Maximum number for each workshop is 6. This is also a really fun workshop to do with friends or family, so if you would like to arrange a separate session to suit your group, just ask. We are happy to accommodate you. For any enquiries or to book, please contact me via my Contact page. Gift Certificates are also available for this and all my services – the perfect idea for that special gift. All certificates are valid for 12 months.